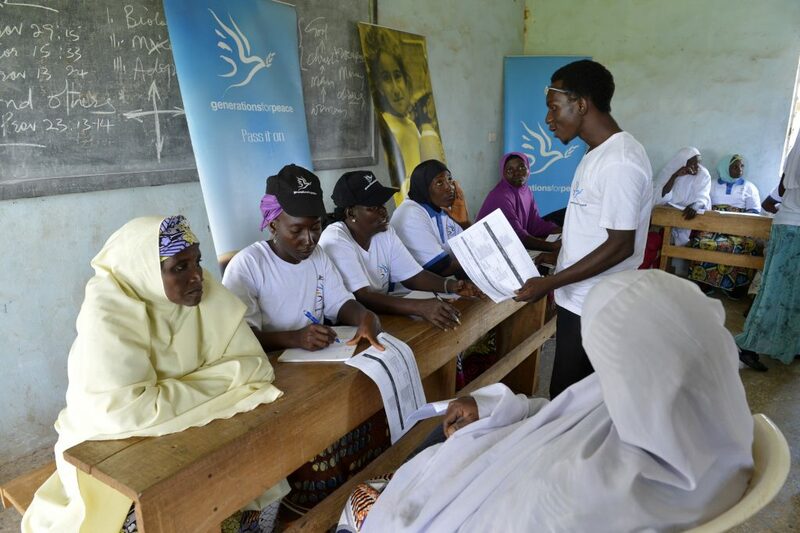 Legal registration of Generations For Peace as an organisation under local laws. This is important to strengthen credibility and engagement with local governmental and non-governmental organisations, and to strengthen administrative effectiveness. Until separate registration becomes a priority, these needs are met through formal partnerships with Local Programme Partners. Administrative office capacity to support programmes and act as a coordination link with Generations For Peace Headquarters in Amman. Such offices respond to the growing demand coming from the volunteers and communities, and ensures programme sustainability. Until a separate office becomes a priority, these needs are met through value-in-kind support of a Local Programme Partners. Such Satellite Offices – run by volunteers, for volunteers – help design, plan, implement, monitor, and evaluate ongoing local programmes in coordination with Generations For Peace Headquarters in Amman. The Offices are direct links between the Headquarters on one side and local community with its volunteers on the other, ensuring that the community needs are being met, and programme sustainability achieved. Since 2008, Eric John has volunteered for different organisations working with children and women NIgeria. This work stimulated in him a growing passion for development. Four years later in 2012, he was introduced to and trained by Generations For Peace as a fourth-generation Pioneer and has since been involved in the planning and implementation of Sport For Peace Programmes for Youth with both secondary school girls and with male youth leaders in Kaduna, Empowerment For Peace Programmes with women, Advocacy for Peace Programmes, and Community Initiatives in 10 communities within Kaduna. 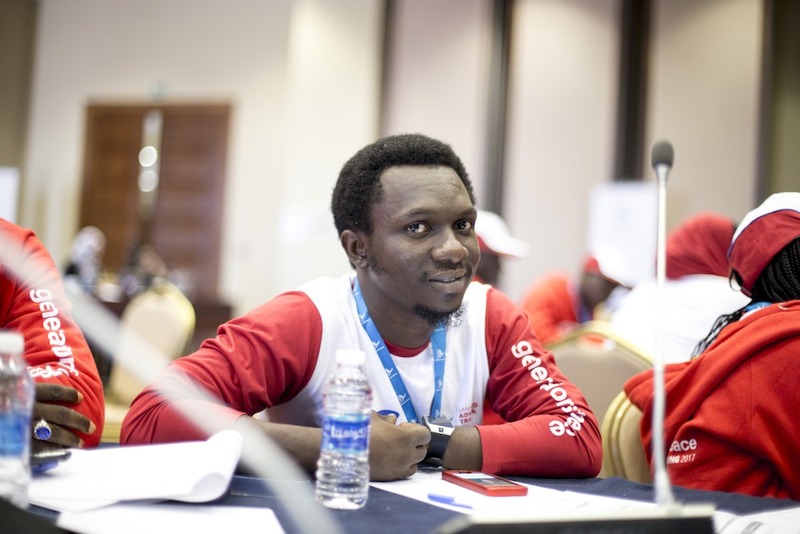 Eric attended the Generations For Peace Advanced Training 2015 and has participated in seven Participatory Evaluations of different GFP programmes. Having grown up in a society where violence in the form of religious, tribal, ethnic, and political conflict largely impedes his country from developing as a nation, Eric finds it incredibly important to become involved in working with those that are often the most vulnerable: children, widows, and youth. He is inspired by peace-building activities: though he began with almost no experience, the more he becomes involved, the more he finds fulfillment and internal peace in doing what he does – promoting peaceful coexistence always gives him reason and inspiration to do more. Currently, Eric is the Senior Administrative Officer of GFP’s satellite office in Kaduna, Nigeria. He is also a friend and a husband to Nzandikan Bako and a father to Elmira Eric. His greatest passion is to pass on knowledge. Experience with many international NGOs focusing on peace building, with community policies and development programmes, made Abdisalam Muse Hussein an ideal fit for Generations For Peace. 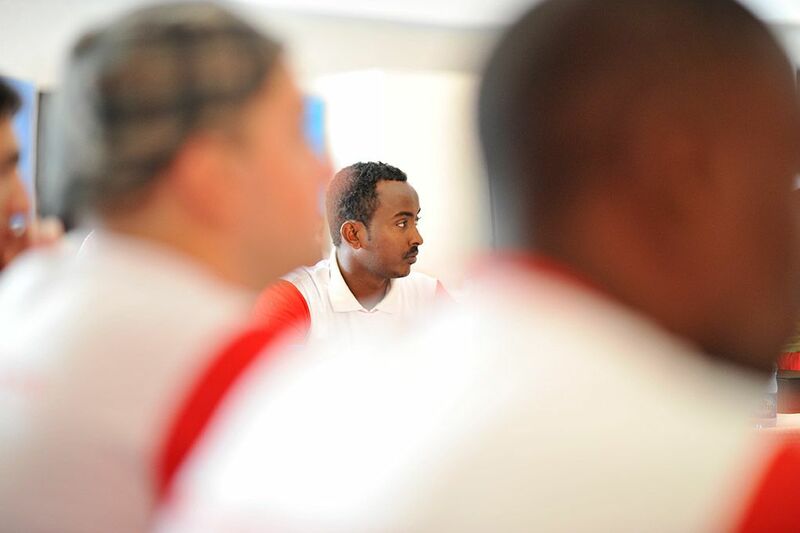 At the International Training Camp he attended in 2009, Abdisalam expressed his enthusiasm when learning about the various educational components included in Generations For Peace’s approach to peace building. To prove that his enthusiasm was not just empty words, soon after Abdisalam’s return home, he began the very first Generations For Peace Puntland programmes in Garowe. Abdisalam began by training an additional 80 volunteers, and with them he then organised a series of programmes for children across Puntland, reaching 11,000 children by the end of the programme cycle. This outstanding reach through sport-based games was accompanied by extensive advocacy to local communities, in which he involved key figures of his community to ensure support and stakeholders involvement in his programmes. All of this made Abdisalam eligible for the leading role in the Generations For Peace Satellite Office in Puntland, Somalia. Newly registered, the Generations For Peace Satellite Office in Mogadishu has been set up to coordinate the increasing number of activities that Somali Generations For Peace Delegates from and around Mogadishu are implementing. The Satellite Office is housed in the newly-completed Headquarters of the Somali Olympic Committee, which is the long-standing local partner of Generations For Peace. Paul Yithak Wel refused to join the Sudanese military service when he was 18 years old because he wanted to be a peace builder; instead, he was sent to prison. With his family, he suffered from the consequences of a decades-long war, facing death many times. He spent many years working as a humanitarian activist with refugees and IDPs across the territory of Sudan. Seeing through his work the consequences of war on livelihoods in Sudan, at the age of 40, Paul decided to enrol into agronomy studies at the University of Alexandria in Egypt. At the age of 50, he was introduced to peace building and the use of sport for that purpose through Generations For Peace training, which he attended in 2007. At the age of 54, well established as a Generations For Peace Pioneer, Paul received his Masters degree in Capacity Development in Canada. 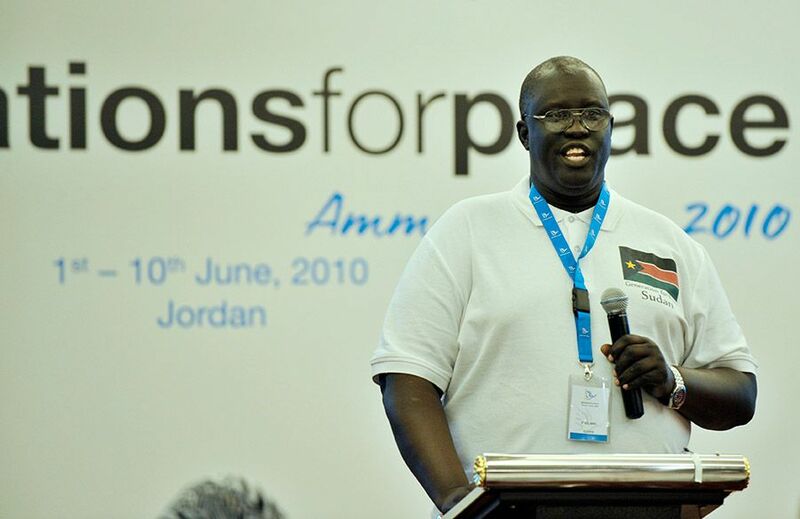 Together with other South Sudanese Pioneers, Paul implemented a series of programmes targeting children from both North and South – his was the first programme that united children from the two parts of what was then a united Sudan. As a true peace builder, Paul is now continuing his work in South Sudan, helping to promote better co-existence amongst ethnicities, tribes, and communities separated by conflict but united in a new country. For his extraordinary achievements, Paul was awarded Samsung Generations For Peace Award for Impact in 2012. He heads the Generations For Peace Satellite Office located in Juba, South Sudan.